Last month, I won a little Instagram giveaway the talented Stephanie hosted. I barely ever win anything like this so I was super excited. 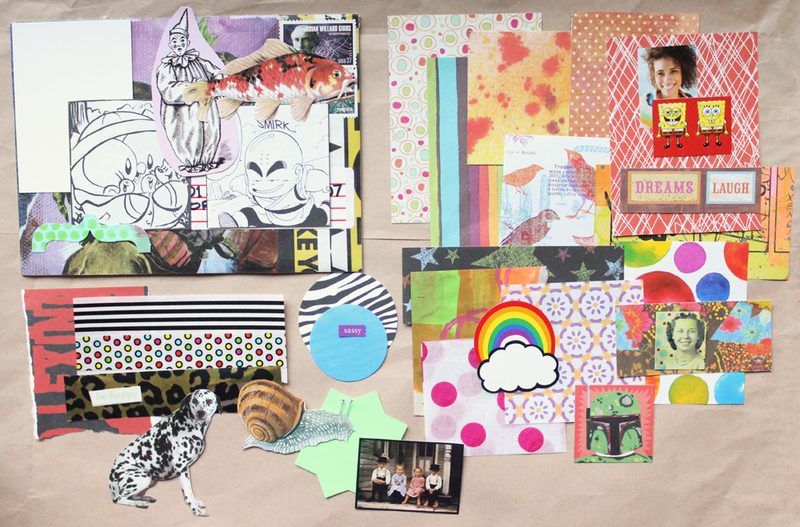 She was sending out little packs of ephemera to make ATCs. I was even more excited because I was just getting into ATCs at that time! 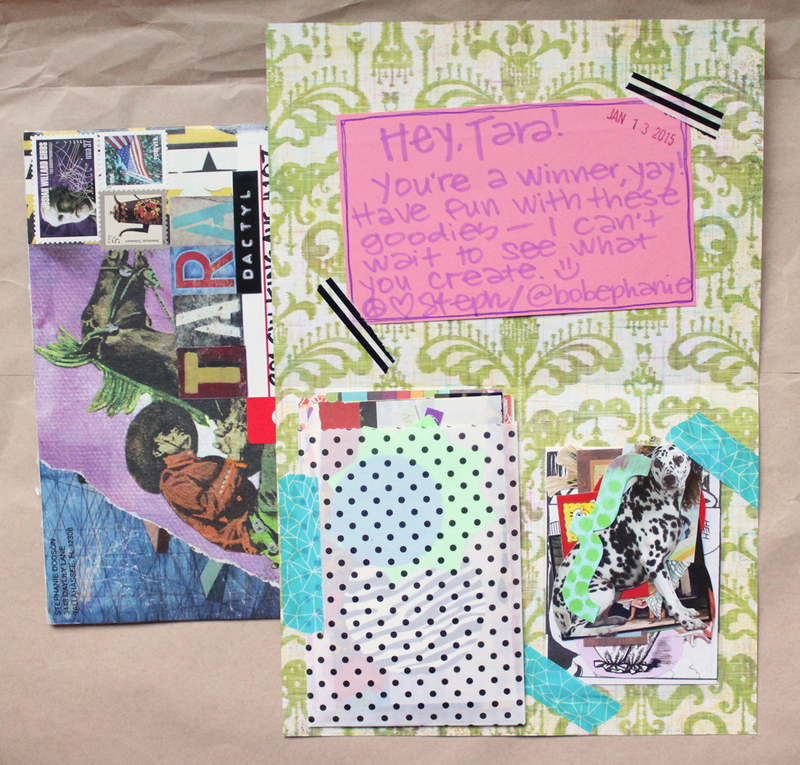 I love receiving mail from Stephanie because she is so creative and always send really awesome things. She happened to use my favorite stamps on her envelope, too! Hooray. As you can see, she sent me a ton of paper elements! 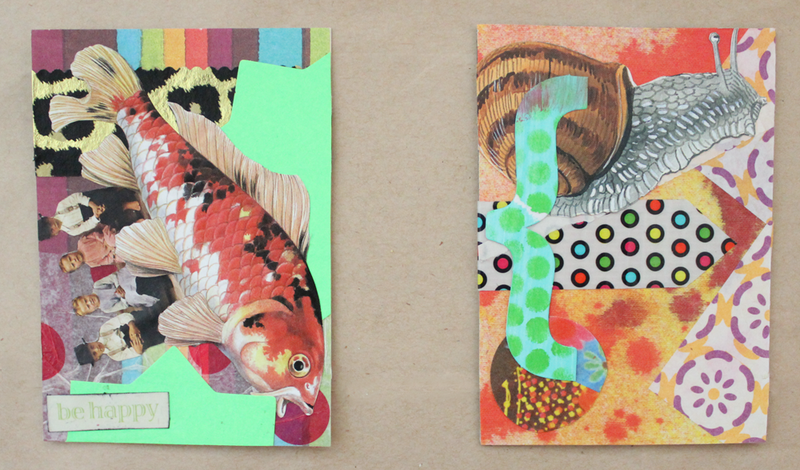 I was looking forward to using all these up by making some really cool ATCs. I’ve been really diggin’ bright, loud colors lately so this selection was right up my alley. I love all the dots and fun colors. 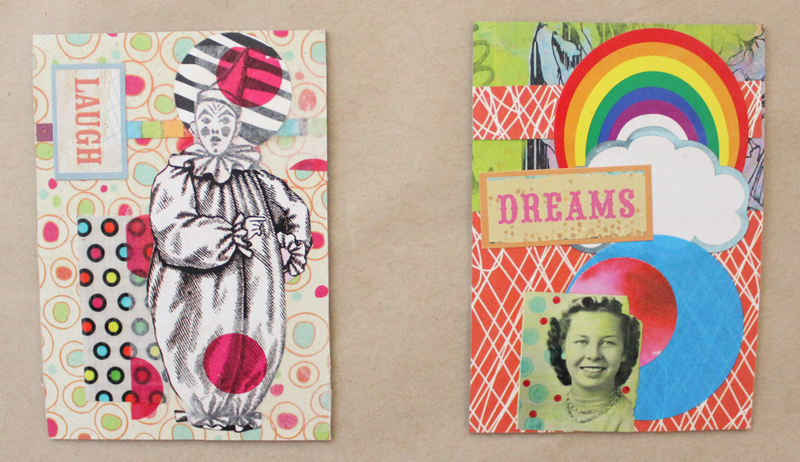 Here are some of the ATCs I made with the bits Stephanie sent. I’m pretty happy with them!